Last summer I posted a short blog about repairing my workhorse backpacking stove, a 1987 Coleman 400A. 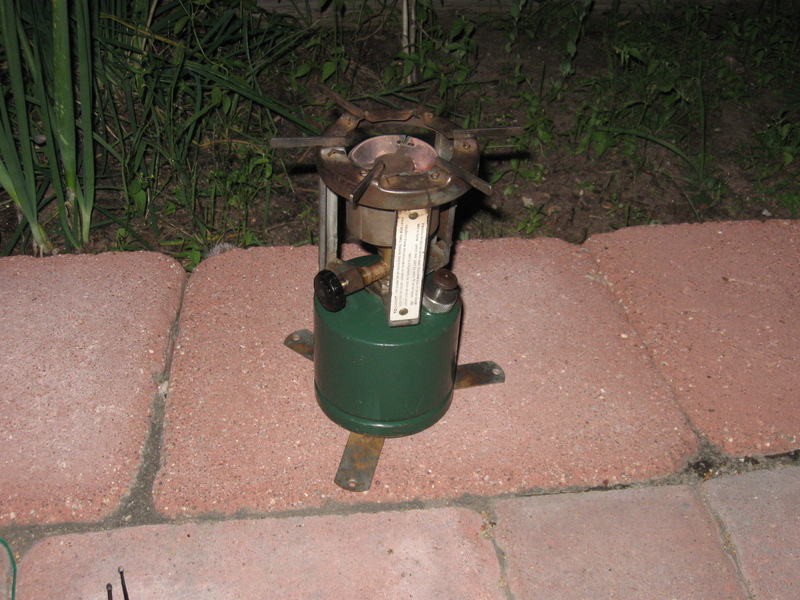 This summer, as I was using it, I thought about two old single-burner stoves my father had when I was a kid. I used to play around with them and remember them quite well. Recently, I asked him about them and he told me that he got rid of them many years ago. So, I looked around on ebay and craigslist for similar stoves and to my surprise I found some examples of them for sale . . . and whole lot more. In the last two months I began buying old Coleman single-burner stoves with the intent of making them work. Tinkering with old mechanical things is enjoyable to me and there is also a curiosity to see how things work. My first purchase was a Coleman 530 stove made in 1946. It was pretty complete, but needed a vaporizer screen and a fuel cap gasket. I rinsed the tank with denatured alcohol and after replacing the parts was able to get it working again. Coleman advertised this stove as the G.I Pocket Stove, though I’m sure it wouldn’t fit in any of my pockets. It also wasn’t used by the military, though it is a similar design to the previous model, the military 520. My next purchase was a Coleman 520 stove made in 1943 and used during WWII. This one was a little more work. I completely disassembled the stove and cleaned all the parts, however the tip cleaning lever was rusted in place and I broke it. Fortunately, I found a guy known as the lanternking, in Yucca Valley, California, who has lots of parts which fit these old stoves and bought a replacement assembly, plus the fuel cap gasket and a new On/Off valve graphite packing. With some careful work and some advice from lanternking and information from the Coleman Collector’s Forum I was able to get it all back together and working as well. All of these liquid fuel stoves work in a similar fashion and when they stop working there’s common things which go wrong. The fuel gaskets are almost always dried out and need to be replaced. The pump cups are made of leather, which, to the novice, seem like they need to be replaced, but I learned that with a little neatsfoot oil (baseball glove conditioner), I’m able to restore them to working condition. Also, the vaporizer screen or tip gets clogged with carbon. Finally, the graphite packings can get hard and don’t seal properly which is what most often seems to cause them to catch fire. Many people don’t like this type of stove and understandably so. They like to call them bombs. Now that I understand their operation better I feel pretty comfortable working on them and using them. Since these first two stoves, I’ve acquired two 1945 Model M1942 Mountain Stoves, which I may take on backpacking trips as it is the lightest and smallest of the bunch, a 1941 American Gas and Machine (AGM) version of the 520 which is in really bad shape and plan to work on with Luke, a Coleman M1950 (1951), two Coleman 520s (1963 and 1964), a 1976 Coleman Canada 576, and . . . . . a 1938 Coleman 243A single-mantle lantern which I bought locally. In future weeks, I’ll be posting more about the stoves, the lantern and my new hobby. 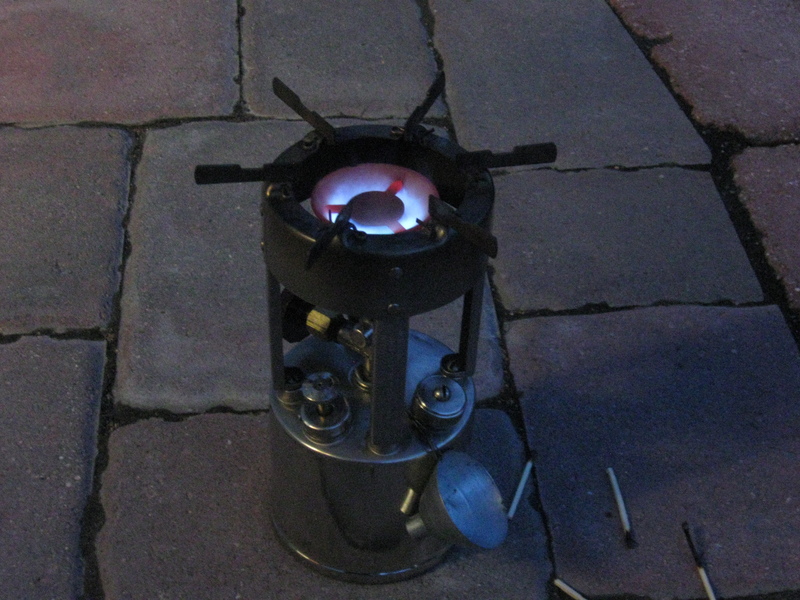 This entry was posted in Backpacking, Colorado Life, Stoves and Lanterns and tagged backpacking stove repair, Coleman 520, Coleman 530, Coleman Stoves.